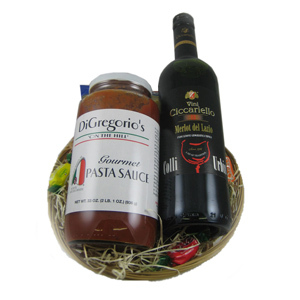 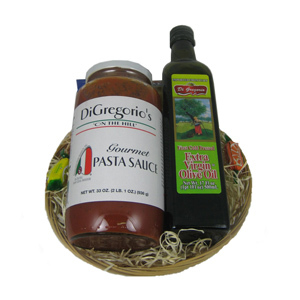 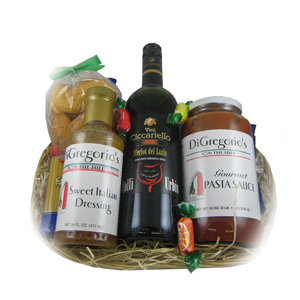 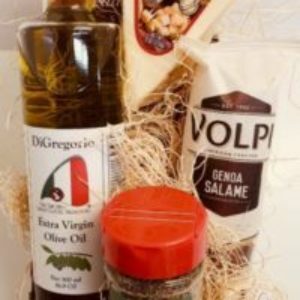 Should your love with our delicious Italian dinner gift baskets. Stocked with rich oils, decadent pasta sauces, artisan pastas, and luxurious wines, our Italian gifts are guaranteed to make a good impression. 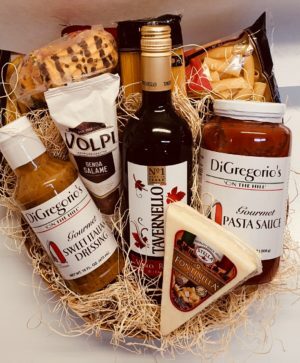 Includes Wine, DiGregorio’s Pasta Sauce, DiGregorio’s Sweet Italian Dressing, Three (3) Racconto Pastas, Stella Fontinella, Volpi Salami & Italian Cookies.